Job is probably one of the best-known and most touching characters from the Bible. 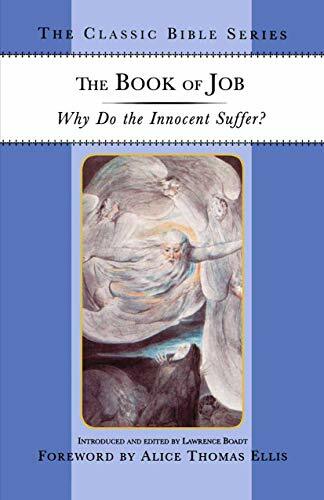 The Book of Job is the first great work of ancient literature to explore in depth the problem of undeserved suffering. Such is the enormous influence of this poetic masterpiece that it is now commonplace to refer to "the patience of Job." This volume combines the text of the Book of Job with essays that show why the trials of Job still resonate so powerfully today. Lawerence Boadt is a scholar of Biblical literature living in the U.K. Alice Thomas Ellis' books include Fairy Tale (1998) and Serpent on the Rock: A Personal View of Christianity (1995).